Christian plays the bass. Sometimes with his feet or a bow in his mouth. He is cool. Christian is active in a wide variety of bands and genres such as the 12-piece monster band Paal Nilssen-Love Large Unit, in the lyrical expressionism of Ayumi Tanaka Trio, in the power trio Momentum, or as member of the contemporary music ensemble Aksiom. He is also exploring the solo format, in which the bass, bow(s) and body set the frame for his approach and work. He has toured around the world since 2009, and has recorded over 30 recordings as both a sideman and a leader. Heida plays the tuba. among other things. She is very cool. Heida Karine Johannesdottir was born in Trondheim and has a BA in music technology from NTNU in Trondheim 2009-2012 and a MA in Performing music technology (jazz-tuba) from Norges Musikkhøgskole. Johannesdottir works as a musician, composer, text writer and visual artist and is based in Oslo. Johannesdottir is currently working in bands like Broen, Lauvdal/Johannesdottir (former known as Skrap) and Skadedyr. She has, together with Anja Lauvdal, composed commissioned work for Trondheim Jazz orchestra, Øya festival, Only Connect and Flekkefjord Kulturhus. Johannesdottir has also worked as a touring musician for Jenny Hval, Susanna Wallumrød, Tone Hulbækmo and Ingri Fiksdal STATE. And is a part of the free improvising music scene in Oslo and plays in various ad hoc settings. Signe mostly only plays the saxophone. She is amazingly cool. Signe is a Danish saxophone player and composer residing in Oslo, Norway. Her unique style of playing with rapid moment in register and the swifting between distinct melodic lines and sudden outbursts makes Emmeluth an easily recognized voice. During the last couple of years she has marked herself as a growing voice on the scenes for improvised music, and has become an important performer in the Scandinavian music scene through her playing and composing. She plays a central role in the bands Emmeluth’s Amoeba, KONGE(Mats Gustafsson, Ole Morten Vågan, Kresten Osgood, Signe Emmeluth) and OWL. She has also collaborated with artists like Paal Nilssen-Love, Pascal Niggenkemper, John Edwards and Mette Rasmussen. Her debut album with her own group Emmeluth's Amoeba was well received by the critics. Earlier she took part in organizing PØKK - a concert series for improvised music in Trondheim and are now co-organizing a new serie in Oslo called Improverk. She has been part of the All Ears festival since 2018. Ole plays drums. He’s a beast – and cool! Ole Mofjell from Søgne, Norway works with a variety of steady projects such as Heaven (duo with Henrik Pultz Melbye), The Big YES! (with Anna Högberg, Maria Bertel and All Ears companion Christian Meaas Svendsen) and Signe Emmeluths group Emmeluths Amoeba in addition to playing in Natalie Sandtorvs group. Mofjell has also been observed in ad-hoc constellations with a number of people including Laura Toxværd, Erik Kimestad Pedersen, Thurston Moore, Torben Snekkestad, Kaja Draksler, Utku Tavil, Lotte Anker and a lot of other very different musicians from very different parts of the world. 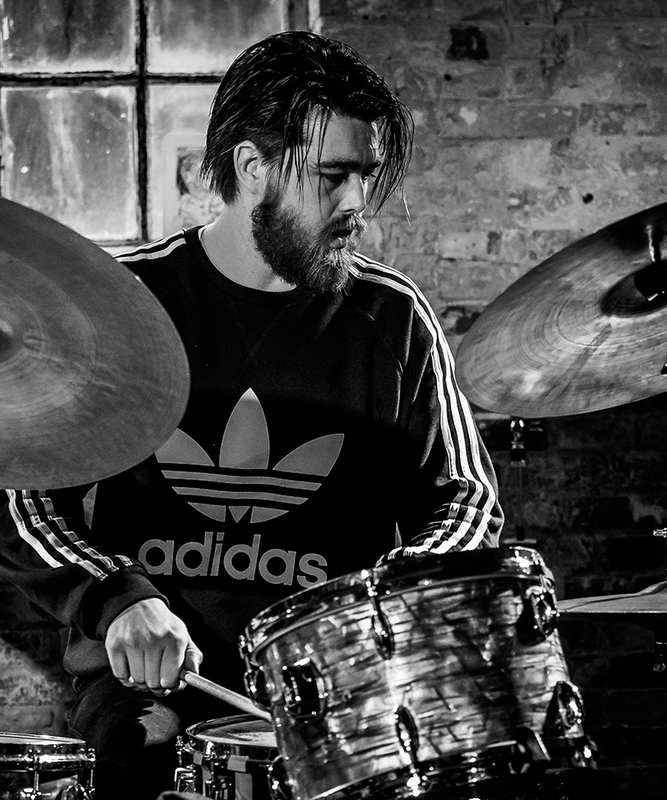 In addition to being a very active musician, Mofjell co-runs the concert series Fresh Sounds with fellow drummer Veslemøy Narvesen in Kristiansand. The series focuses on curating musicians to play together for the first time in a town the probably have never been to.